Stream anime episodes online for free, Watch One piece Episode 11 English version online and free episodes. Anime Episode guide One piece Episode 11 English dubbed Expose the Plot! Pirate Butler, Captain Kuro! The episode opens with Zoro, Nami, and the Usopp Pirates still waiting around for Luffy and Usopp. The Usopp Pirates mention how Usopp always goes to the coast. 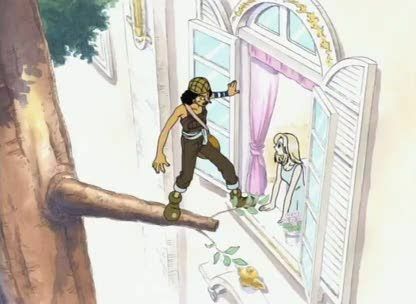 They then spot Usopp running up to them, but he doesn’t respond to their questions and runs right past them. Usopp runs into the village, and starts yelling to everyone that pirates are coming and that they have to abandon their homes. The townspeople, however, are furious when they come out, refusing to believe Usopp because he lies so often.